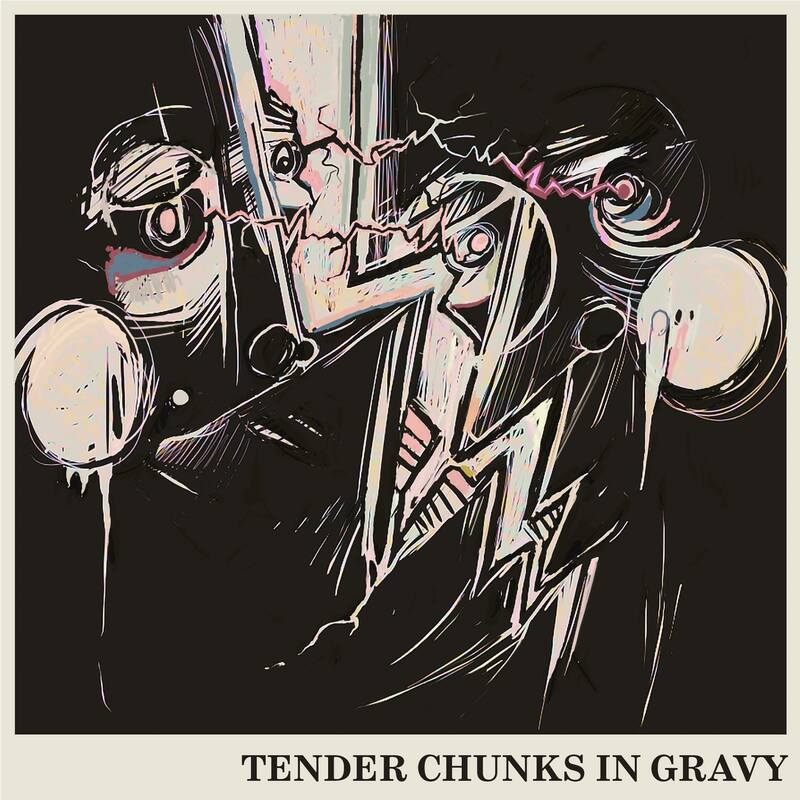 Amsterdam-based garage punk band Tender Chunks in Gravy are debuting their first 7-inch on June 14 at Pacific Parc. The self-titled 7-inch is packed with four super dance-worthy tracks. The recording quality is clear, but it’s not overly polished, leaving the songs with a nice ‘raw’ element. The raw garage sound doesn’t seem fabricated either, probably due in part to way it was recorded, as well as the singer’s vocals. His voice is perfect for delivering this exact kind of music. It’s no wonder the songs put forward that natural raw factor, considering the release itself was completely DIY. From recording to printing, right down to gluing the pieces together, this was a wholly self-released project. The opening track ‘Mama’ is a great is a great icebreaker to introduce people to this band. ‘Mama’ is easily my favourite track of the four. It has a really infectious chorus, and the buildup to it helps intensify the anticipation for it while simultaneously increasing the overall catchiness of the song. One line in the second song ‘Bert’ states “I got no energy,” but the song itself actually has a great high energy. I imagine this is the kind of song that’ll get people excited about the band and make them want to dance harder when they hear it played live. ‘Liga’ feels like it’s buildup is a bit faster than it was in the previous two tracks, almost like it’s getting ready for the final track. All of the songs on this release have a bit of a haunting quality to them – they sound like the kind of songs I expect to hear at a party really late at night, but I feel like the resonating scream in parts of this song make it the most haunting of the four. The final track, ‘Bricks,’ somehow feels like the best song of the four to end on. I like the track lineup here and it seems like each song has a nice flow from one to the next, ensuring that no song seems out of place. None of them seem like boring throwaway style tracks, which is pretty good for a first release. The band’s online footprint is practically nonexistent at this point, so if you want to know more about them, you’re gonna be relegated to checking their Facebook page or skulking around Pacific Parc in Amsterdam until you get a chance to catch them live.